The Future Leaders for Peace (FLFP) kicked off the first session in March. Growing young leaders is the goal of this group birthed from the Youth Violence Prevention Task Force. Co-Chair Venessa Collins-Smith facilitated our initial session, mapping out our journey into youth community organizing. Are you a young person who would like to advocate for yourself and your community? Join us to learn the tools you need to do just that. Contact the ISAAC office to register, 341-4213. Or if you know someone in grades 8-12 who’d be interested in this free-of-charge opportunity, have them call to find out more. 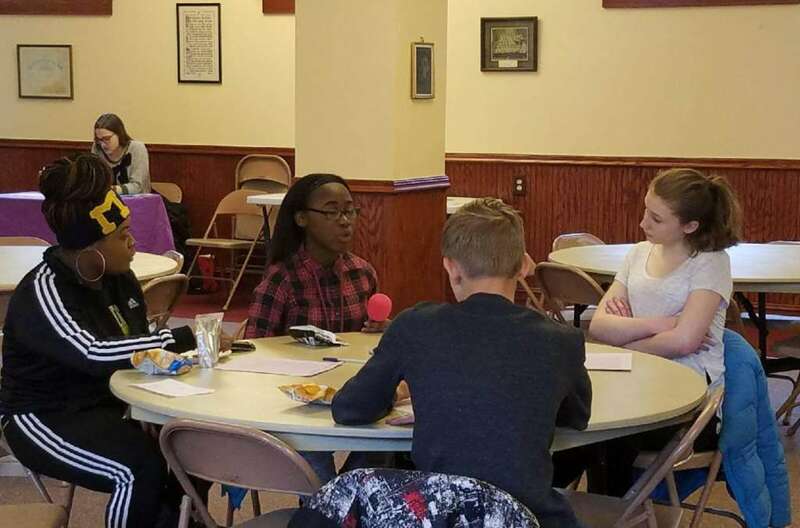 The next Future Leaders for Peace meeting is Saturday, April 15, 1:00 pm at First Congregational Church, the red brick church in downtown Kalamazoo at 345 W. Michigan Ave, at the corner of S. Park St.